As of January 2019, we’re making Pool Troopers official! Although our name is changing, our loyalty and passion for pool service, is not! Since the very beginning, our company’s foundation has always been about family and pushing our standards to the next level of professionalism within the industry, all while bringing our customers value! 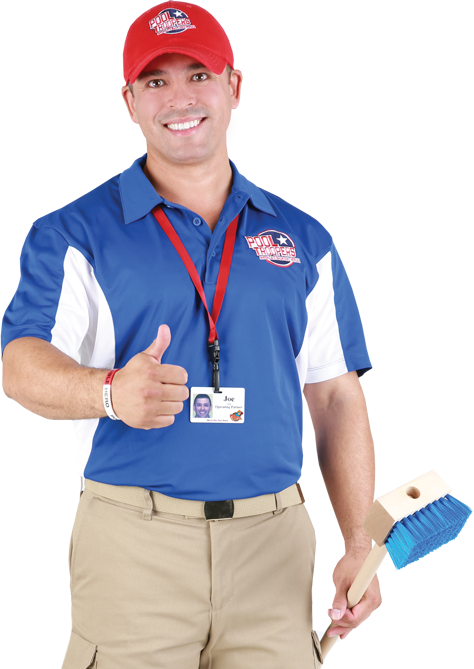 Pool Troopers is here to carry the torch and continue as the leader in pool service within the community! In recent years, you have seen our Pool Troopers logo make its debut on our trucks, shirts, and website! Well, we are excited to say we’re making the name change official! Join us in celebrating. Our allegiance to our 8 Non-Negotiables will continuously be present and part of our DNA. 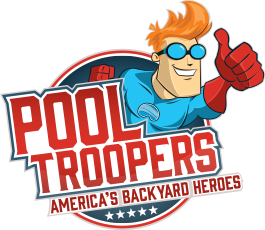 As Pool Troopers – America’s Backyard Heroes, we couldn’t be happier serving families in communities alike, where we can provide residential pool owners with our Freedom Guarantee, making it easier to enjoy life in your own backyard. Welcome Pool Troopers To The Neighborhood! We exist for one reason, to give residential pool owners freedom. From our first day in 1952 to today, Pool Troopers (formerly Bay Area Pool Service) has been about family and raising the level of professionalism within the residential pool service industry. 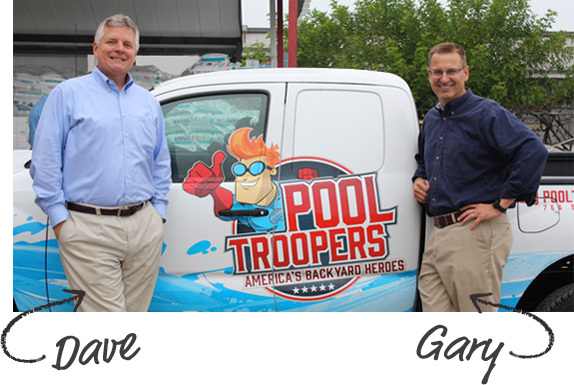 Under the continued leadership of Gary Crayton & Dave Hahmann, Pool Troopers is dedicated to always having your back and being your reliable backyard heroes. 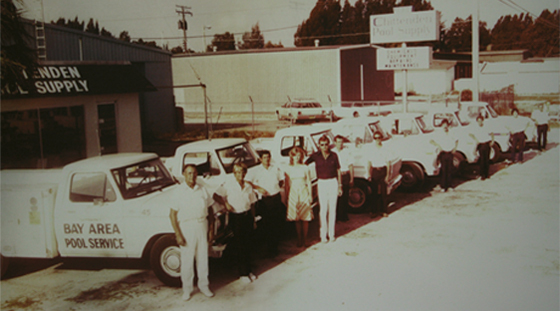 Since we started back in 1952 we’ve been working everyday to set a new standard in pool service. 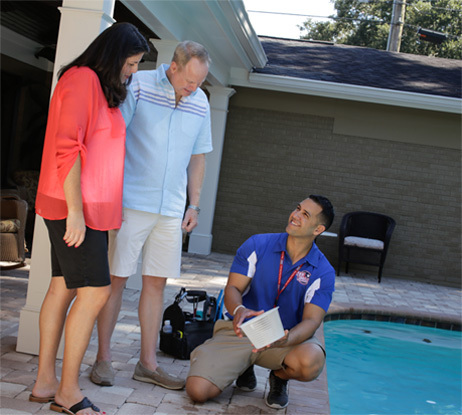 As residential pool service technicians, pool equipment mechanics, customer service professionals, supervisors, and managers – we all play a key role in helping you enjoy the freedom you deserve. It’s why we implement the rigorous hiring practices in our industry, require everyone to undergo regular background and drug checks, provide ongoing world-class training, and require all of our technicians and mechanics to be fully certified before they ever work in your backyard. Is Bay Area Pool Service under new ownership? No, Pool Troopers is the same owners as Bay Area Pool Service. Bay Area Pool Service was not purchased, we simply re-branded to Pool Troopers. This change will be seamless. You will continue to be serviced by our award winning technicians on the same schedule. How will this change affect billing? There will be no interruption in billing. You will see an update of Pool Troopers your credit card statement, our pricing will continue to remain the same. Feel free to give us a call! Our customer service team is here to provide you with the same great service we’ve provided since 1952.